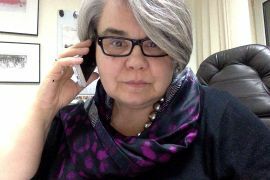 Dr Julita Agnieszka Rybczynska is a legal scholar and political scientist. Affiliated with Political Science Faculty of Marie Curie Skłodowska University (UMCS) in Lublin since 1990ties she is a senior lecturer at the International Relations Program and a Director for Academics at the UMCS European Centre. In her research Dr Rybczynska focuses on institutional and legal aspects of democratic transformations, with the special focus on human rights, national minorities rights, local government, civic society and non-profit sector in Central and Eastern Europe. Dr Rybczynska was a research fellow and visiting professor in several higher education institutions in Europe and the US including Woodrow Wilson School of Public and International Affairs, Princeton University; Rutgers University; Nuffield College at Oxford University and University of Reykjavik. She combines research and teaching with policy and development work having worked as a consultant and expert with various local and national public policy bodies, non-profit organizations and intergovernmental organizations including Foundation in Support of Local Democracy (FRDL), Human Rights Helsinki Foundation, OSCE-ODHIR, US-Ukraine Foundation, Management Initiatives Foundation (FIM). She currently serves on the Board of Center for Eastern Competencies, think tank promoting effective and sustainable development cooperation and stimulating dialogue between local and regional authorities in the countries of EU and Eastern Europe and Central Asia.